It’s not often you get to read a book that really grabs your heart and mind and carries you along for hundreds and hundreds of pages, and then get to call the author on the phone, ask every question on your mind, and, as a bonus, receive not just the answers, but 45 minutes of thoughtful and thoroughly entertaining and enlightening indulgence. 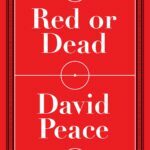 But thanks to the Howler Book Club, I had the opportunity of speaking with David Peace about two of the greatest soccer novels ever written: “Red or Dead” and “The Damned United”…and we chatted about a few other things besides. He’s a passionate artist, a friendly conversationalist and as desperate a member of the Football Tribe as anyone who’d read this far into this paragraph. 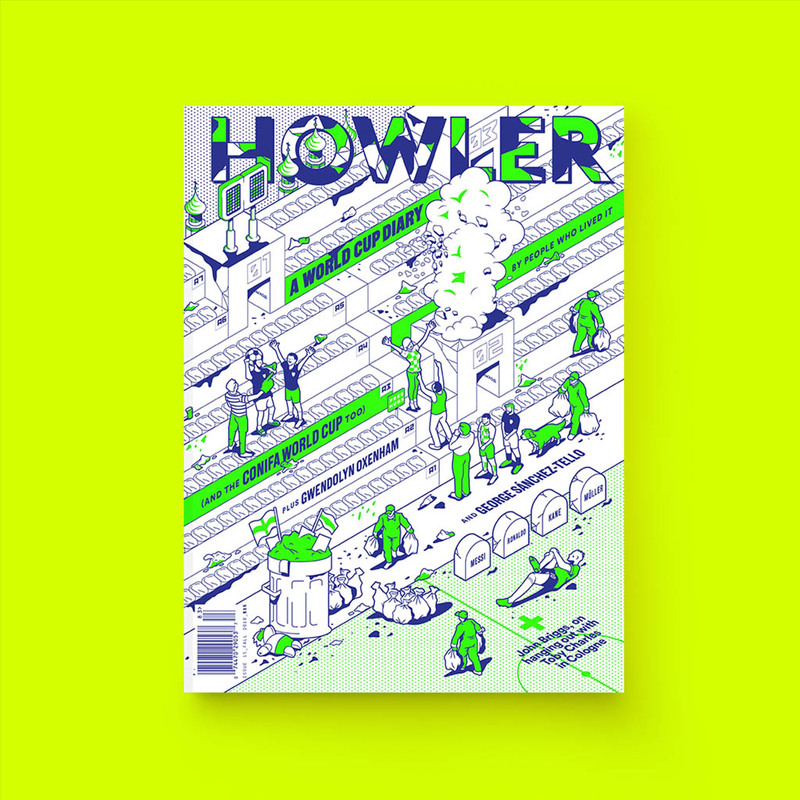 If you are one of those desperate people, and if you’ve got a question or two for Mr. Peace about either book, or English football, the writing life, what it’s like to see a novel emerge before the world as a film, or anything else, send your questions to hello[at]howlermagazine.com and we’ll invite him to send his answers for the conclusion of our first entry in the HBC. You’ve made some risky stylistic choices that to my mind work, but you must have known it was unusual and complicated. Was that entirely intentional, or were you simply following your artistic nose? I get into a lot of trouble from publishers because I say to people who are keen to read the book have a look at it first. Go to a bookshop and have a look because I am aware it’s not everyone’s cup of tea. But the style came from my desire to make it a very vivid portrait of Bill Shankly and what he went through in order to raise Liverpool Football Club from the Second Division into the foundations of the club that they are still today, one of the biggest clubs in the world. To me that success wasn’t overnight. It took him and the people around him a great deal of time and effort. It involved a tremendous amount of repetition and I wanted to convey that in print. So it was a portrait of a man but it also was a visceral living experience for the reader so that you really went through these 15 seasons that he was at Liverpool Football Club, from 1959 to 1974. You really see every game and feel it as he felt it, the entire experience. And there was only one way to do that for the first half of the book and to show in the text what a tremendous amount of work it took, and then that makes the shock of the retirement — as well as the mystery of why he retired — all the greater for the second half. How confident were you as you got deeper into the book — did you have any doubts that what you were trying to pull off was working? (Laughs) I have doubts everyday. Originally I was just going to write a book about the retirement. I knew in order to write about the man I had to research and fully understand the work of the man, particularly because of the age that I am, the age I was when Shankly was the manager at Liverpool Football Club. He retired at 74 when I was seven. So I remember Shankly as someone who my father and grandfather spoke about, the media then, the punditry…wasn’t so great. Although he had a radio show in Merseyside, it didn’t reach Yorkshire, where I grew up. Apart from broad strokes of what he had done, I didn’t really know that much really and so in order to write about the retirement I had to return and research about his work and I just realized that not only did I need to research and know to write the second part, I actually thought the reader needed this. I remember going to the library in Tokyo every day and going through every single game he managed, every newspaper account of him managing at Liverpool and I was taking notes on all of the games, not meaning them to be in the book. But I became hypnotized by all of the reports. By going through the games, one after the other, then getting back to the study and afternoon and going through the notes and it just became the first half of the book. And in order for me to edit or check out my work, I read it out loud, which I really must be very irritating for the neighbors. I was also reading it aloud every week to my father on Skype back in England and he seemed to be enjoying it and I was enjoying reading it a few times and so that is all you really can judge. Although I always have doubts, I had utter conviction that this was necessary in order to understand and feel what that man had lived through and had been. I felt that sometimes the book had the rhythm of soccer practice or football training. Toward the end there’s a passage where he washes his car. It’s a passage that comes up frequently in other reviews — what exactly are you communicating there? I always joke that it was just to convey how dirty his car was. 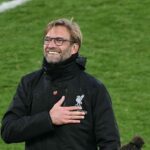 When you say you felt like you were going through the rhythms of the training, I’ve had people come up to me saying that when Shankly falls and even starts to get the flu, he actually felt as if he had the flu coming on. This to me is the highest praise I can get. It means that this book has worked in a way that I wanted it to work. And at the same time then, I really wanted to show a man who was so obsessive, a man who was so caught up in the rhythm, repetitions, and routines of work that when he retires, what does he do? A lot of this was based on people like my grandfather, my agent, my own father in their retirement. These are people who worked. It is not like now where people change their jobs often. People would work the same job for 50 years. My father still gets up every morning at the same time, he still puts on his suit, and goes downstairs to watch the horse racing on the TV, but he has the suit and tie on. So I was trying to convey what happens to these men when you take away their work. To me Bill Shankly—the attention to detail he brought to football, that he brought to that ground, to the painting of the ground, to the improvement of Anfield—that was how he kept his garden, that’s how he washed his car. That was all he had after he retired was that outlet for the need to be active and working. That was why I did it, it wasn’t some kind of artistic, Beckettian conceit on my part, it was for a very deliberate reason. And people can skip it, just as some people don’t wash their car that well. You write about a lot of subjects, but with these two books, The Damned United and Red or Dead, you’ve chosen football to show and teach something about English culture. What is it about football? 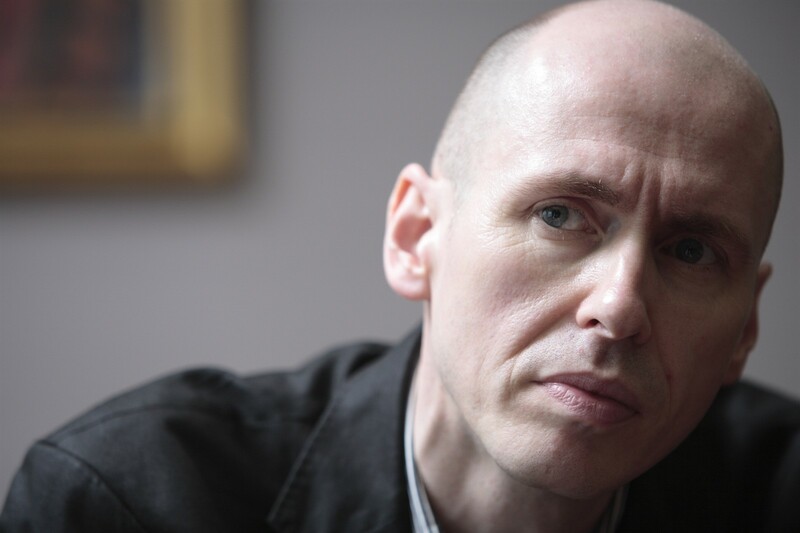 I’d written four crime books based on a true crime in West Yorkshire. Then I’d written about another true moment of history, the miner striker of ’84 and ’85. And out of all the first five books, football was there. In the North of England and in the industrial heartland, football is just part of everyday conversation. It’s often all that people talk about so it was always there in the other five books and really I didn’t give it a huge lot of thought. Why I was doing The Damned United…I just had always been intrigued by Brian’s Clough’s 44 days at Elland Road, managing Leeds United. Forty-four days then is still quite a short time for a manager and there was this mystery as to why he took the job and what happened to him and why he resigned and so forth. I just wanted to write that book as some kind of crime novel, a mystery novel. Both the publisher and myself and everyone were surprised by how successful it was. I mean, the fact that I thought about it and wrote it, it is because of the importance football had in my childhood and my life growing up and I think that is true for very, very many people in the North of England, all of over England, and the world as well. Why is football specifically and sport in general so important to a culture? Is it merely a distraction or is it something greater than that? It is a big question indeed. If I think about my father and my son who are 60 years apart in age, I don’t think football is a distraction to either of them. It’s the first thing they talk about, they look for the back pages before the front pages of a newspaper. The 24 hours sports on the TV or their phones and I don’t think they are alone. It is not a distraction. I would say in a way, the rise of prominence of sports in culture probably mirrors the decline of religion in many communities. As the industrial jobs have gone, as the working class has been dispersed, as the areas and communities have been broken up, as people spend a lot of time either working at home or traveling in cars, not really interacting in the great ways they used to do — whether that was in church or local pub or shopping in the local streets rather than shopping centers at the end of town where you drive to and don’t know anybody and drive back from — I think football, and other sports as well, gives a sense of a shared community. It brings people together even if most of the time they’re watching it on pay-per-view home alone. Do you have the same affection for the game that you used to have? Are you attached to 21st century football as much as to 1970s football? Compared to my father and son, they would see me as slightly disinterested. I think they would be frowning to hear this conversation. Although the two football books I’ve written have been largely set in the ’70s, I don’t have any particular nostalgia, or rose-tinted, view of it. My father took me to a lot of games, particularly games at Leeds United, Elland Road. I used to spend more time watching the fighting in the crowd then the football on the pitch. They were quite intense experiences, so I don’t really have a particular nostalgia for ’70s football. I watched it and I went to it. Now, being in Tokyo, I don’t go to football very much. But I still go when I go back to England. Particularly in the UK, with certain groups of people in the media, there’s a great negativity towards the footballers and their wages and the extravagance, but football isn’t the cause of society’s ills. I think football mirrors a lot of the problems and faults in society. There are still things I love about football today — players and games are great, but there’s a lot that’s wrong with it in the UK, particularly the huge gap between the super-wealthy clubs and the lower divisions, but that’s true of the huge gaps and inequalities in British society anyway. Was it a coincidence that managers like Brian Clough and Bill Shankly existed at that time? Was there something about the time in England that brought these great men forth? I don’t think it was a coincidence. They really were not alone. Bill Nicholson at Tottenham, there was Don Revie at Leeds, Matt Busby at Manchester United, Jock Stein at Celtic, there were huge characters and real powerful figures within football management at that time. In a way you can argue that Shankly was the first, in a way — when he went into Liverpool, he said, “I’m going to pick the team, I’m going to manage the team.” Before that, largely it was often done by a selection committee before Shankly and that generation. Clough very much looked up to Shankly and aspired to be like him, Shankly looked up to Busby and had a great relationship with Jock Stein. I think they represent smart working-class men who took on the owners and the people with the money and created these wonderful teams and in Shankly’s case, particularity, have this incredible bond with the supporters, with creating this whole idea of the boys on the Kop and this spirit of Shankly that does make Liverpool, to this day, different. I don’t support Liverpool but I can say that it’s different from other clubs and I think this something that is not a coincidence. These are men who came from working-class communities, who came together through chapel, through church, through trade unionism and looked out for each other and this kind of socialist work ethic really informed all of these men and drove them forward and it was very much for a lot of them a class war. In a way, you can argue that Alex Ferguson is the last of those kind of men. Ferguson famously when he was the manager at Aberdeen used to play old tapes of Shankly speaking to the players in the coach on the way to the game. It’s not a coincidence. The book opens with a quote from Revelation and has an Old Testament flow about it — you’ve just suggested that these men were filling in for religious figures in a way. What is it about the book’s religious slant? Busby was a religious man. I think Shankly was but I wouldn’t have seen him as a church-going religious person. Shankly came from a religious household — Protestant Scottish, grew up with a Bible and Robert Burns. I think he had this notion of a very simplistic reading of both the Bible and his politics. He basically saw Christianity and Socialism as the same thing, that God made everyone equal and that we love thy neighbor and help each other. That was as simple as it was for him, and that’s what drove him on. I did want to give the first half an Old Testament feel to it, and the end of the book has a deliberate religious tone to it. For very many people who I spoke to researching the book, people who came from broken homes or didn’t have fathers for example, Shankly came to occupy a mythical father-figure for them. Obviously he was very approachable, people knocked on his door for tea and a chat or a kick around at the park with kids. A lot of them actually knew him and really revered him as a kind of father…in a kind of a religious way that people talk about him. Not in a cultish way, but with a humility in the face of that man’s goodness. Not in the manner of a god, but really moved by his humility and his kindness and the things he did for people. I do view Shankly as about as close to a 20th-century saint as it comes to Britain, and so deliberately the book was supposed to have a religious feel to it. A risk you run when you write a novel about events that really took place, when you try and tell truth through fiction, people can misunderstand what you’re doing. Can you describe that gamble a little bit? That is what I’m trying to do: Truth through fiction. When I’m writing books like The Damned United or Red or Dead, I’m going through historical records and newspapers and all the so-called non-fiction books that have been written, all the biographies from the players and managers themselves and some of the ghost-written biographies. When you read them, everyone of them, when you stack them up side by side, they all contradict themselves and contradict each other. Brian Clough had two or three autobiographies ghostwritten that had his mother dying on different days and different years and things like that. That to me is natural, that is just how people remember and misremember. Some people might be willfully avoiding telling the truth or some people say this is happened like this, and so forth. But the problem is, when it is non-fiction, it carries a certain authority and people tend to read it as if it is the truth. What I think, by saying this is a novel, is “I don’t know. I wasn’t there.” Most of us are not the 12 men in the dressing room at Wembley when Liverpool were playing against Newcastle, so we don’t really know what went on, and even those 12 men in the room, those who are still alive, will remember things differently. I’m saying this is a novel, so don’t take it like the gospel truth. I hope it dramatizes a painting of history, rather than a photograph. This is my impression of what happened. I’m trying to make it as dramatic and as interesting and enjoyable to read and to feel that you are there…and that’s what I’m trying to do. It’s more of a problem in England. It seems to me people in America and France seem to have less trouble with this concept. One of the biggest influences on me was John Dos Passos, and he took historical figures and put them into novels. E.L. Doctorow, Don DeLillo, James Ellroy…America has a fine tradition of this way of looking at history, dramatizing of history, looking at the possibilities of truth through fiction. It seems odd to me that the country that spends millions of pounds celebrating any anniversary of William Shakespeare can’t get their minds around the fact that storytelling is about real people, about things from history, and dramatizing them and making them interesting and making these people come alive. No. I’ve long since given up being surprised by the people of England. Is there a film coming of Red or Dead? And do you think it can capture what you did on the page? How Red or Dead came about was because I received a phone call from a film producer who loved the book of The Damned United but was less keen on the film and said “Have you ever consider writing about Bill Shankly?” At that time I was struggling with the third book in my Tokyo trilogy and I really wanted to write something about the state of England and how this traditional idea of the community that had come out of Christianity and Socialism had been lost. But I didn’t want to write it as some didactic essay and the minute he said Bill Shankly, I said to him, “I’ll write a novel, and if you want to film that novel and make a script of it, then you’re on.” So two years later I presented him with the novel and then he persuaded me to have a go writing a script of it. I did a draft and there has been a couple other drafts of it…and it edges forward. Did you like The Damned United movie? The thing about the film, when it was originally pitched to us, the original director pitched it as a black and white, gritty homage to very 1960s Northern working class cinema. Those films had been a huge influence on me growing up and also in writing the book. I thought it’d be great to see the gritty black and white films that I was inspired to write the book by. But it didn’t turn out that way because that director left. I never thought the film was going to turn out the way that I wanted it to be. And I don’t think the film had the same tone as the book but that sounds very churlish, and I’m extremely grateful for the film because it brought more readers to the book and other books. It also my son’s favorite film, so it’s got its good points. I’ve read that you moved back to Tokyo because you found it hard to write in England. Is that true? And why? That’s true and that was because (laughs) — you asked me how much did I love football…well, that was because I was distracted by many things, but not least Sky Sports News. In Tokyo, I get up early, I set to work and I just start writing, but in England, I’d be still in my dressing gown with a cup of coffee waiting for the latest transfer headline, not being very productive. What other subjects are you anxious to tackle? Definitely like to write another book about a manager. There are various candidates, but I’m a bit superstitious — if I start talking about it…for a long time I was going to write a book about the England and Yorkshire cricket of Jeff Boycott and I realize no one who is listening to this podcast will know, who is an iconic and famous figure in the UK…but I started talking about this book before I did any of the research before writing and subsequently I haven’t started writing. I would say that there are definitely people and teams and incidents I’d like to write about still. But I think it’d be better not to curse them by talking about them before I write about them. What final thought would you give to an American soccer fan diving into this story? It’s a lost time. This period in English history and English football, we’re not likely to see it again. If you’re interested in either football, whether it be in America or world football, Liverpool Football Club are undoubtedly one of the most famous names in world football, and yet this is how it started in 1959 with this man picking out the stones off the training pitch. And I think it shows that no matter where you start off or how low you have to begin, it just shows actually what you can do. And, you know, the times we live in are not for many of us the best of times, and I think Bill Shankly and men like him, who started off with much, much less than most of us, in much, much worse positions than most of us, and then went on to achieve huge, huge great things against the odds and the system can inspire people with a little bit of hope for a change.